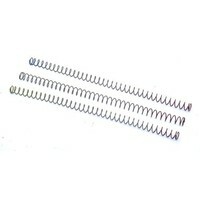 The Auxiliary Spring Rate Kit for the JP Silent Captured Spring allow custom tuning of the device to a given rifle. 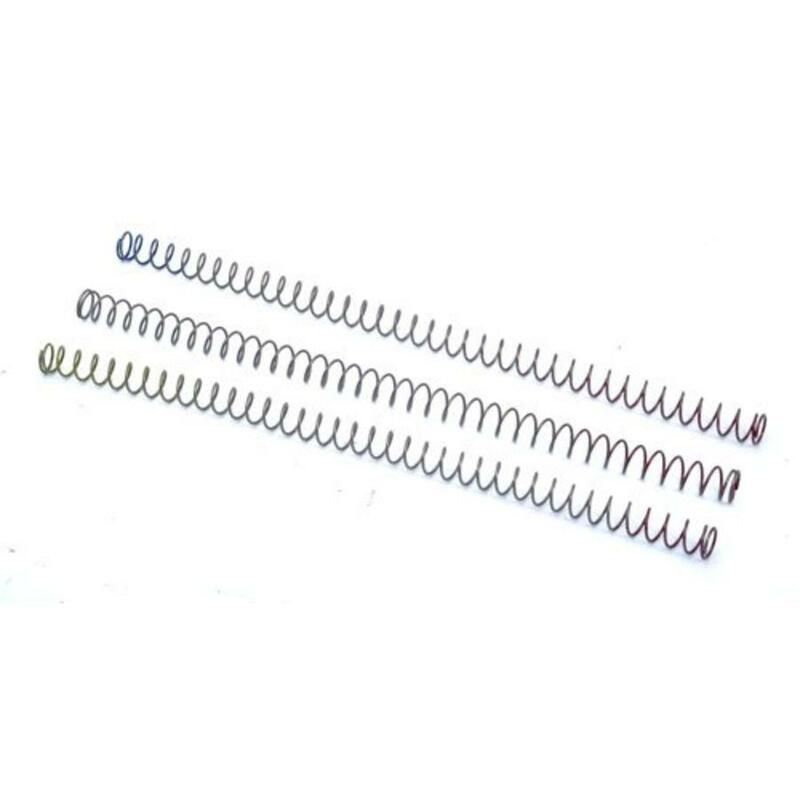 While the default spring installed in the JPSCS is selected to offer the best performance for the widest range of configurations, a simple disassembly and reassembly of the JPSCS with a slightly different spring rate can yield truly optimized performance, particularly for rifles without an adjustable gas block. 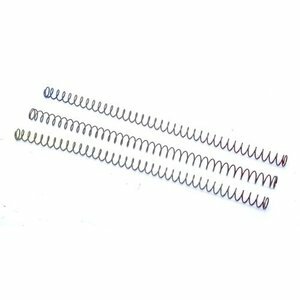 In selecting a spring for your rifle, install a heavier spring in you feel the buffer head fully compress and bottom out while firing the weapon. If the bolt carrier will not lock back reliably on the last round fired, even when completely gassed (in the case of an adjustable gas block), select a lighter spring. 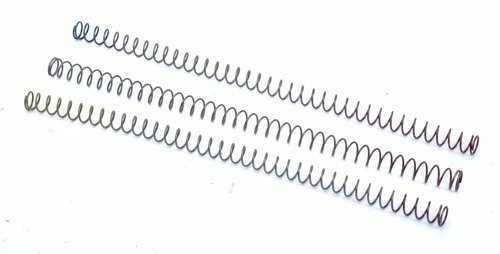 On large-frame rifles, a lower spring rate (i.e., heavier spring) with a properly tuned gas system can often yield a faster, lighter impulse that feels almost like an AR-15 in being very easy to clear or cycle for charging. Using the JPSCS-10 without a JP adjustable gas system will likely require a heavier spring to overcome the friction and extra mass in the bolt carrier relationship. Then again, since Armalite rifles use a McFarland gas ring and have a very low bolt/carrier internal friction, they can often strip, feed and go into battery with a lower spring rate. Because of the inevitable variability in platforms, this spring kit is designed to get any rifle cycling successfully with our JPSCS system.